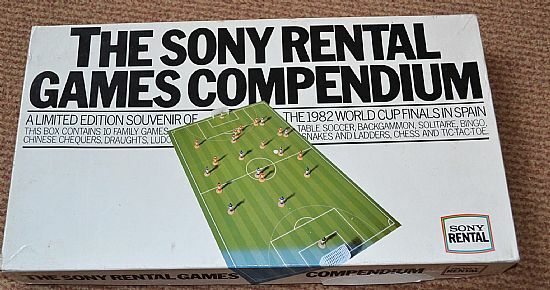 I do enjoy an unusual promotional game and this is a cracker from Sony Rental for the 1982 world cup in Spain. 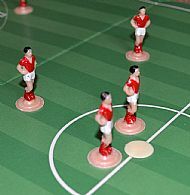 A games compendium that leads with a repackaged Merit Table Soccer game in with a whiole host of other games. I guess this is for customers or suppliers of TVs and video recorders, anyway it is a limited edition souvenir of the world cup. 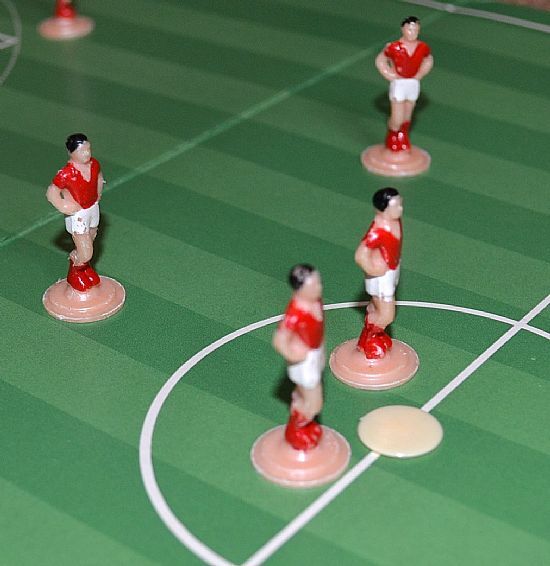 A nice promotional games compendium featuring the Merit Table Soccer game. Loads of fun to be had with this limited edition set. 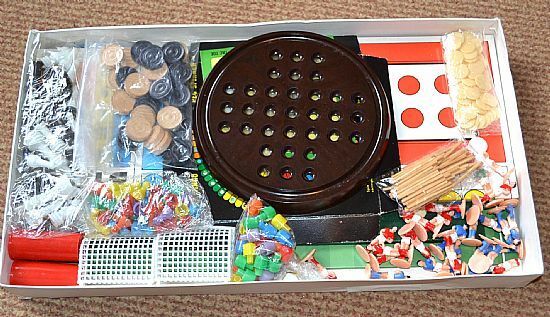 Dozens of games included in this fabulous compendium. The finalists in the 'Ooh get you' posing competition final limber up ahead of their slot. The teams line up ahead of the 1982 world cup final.